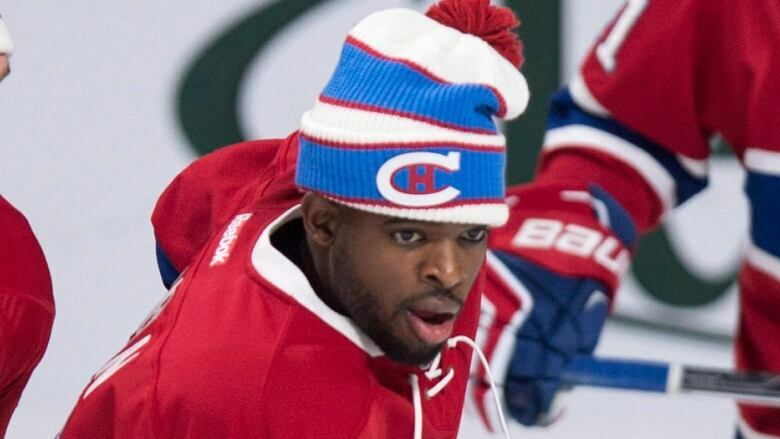 Montreal Canadiens defenceman P.K. Subban will be wearing personalized skates against the Boston Bruins for the Winter Classic on Jan. 1 in Foxborough, Mass. Money raised from a raffle will go to families financially devastated by a child's illness. Last month, the 26-year-old blue-liner used a catwalk to model the Canadiens' Winter Classic jersey. In September, Subban made a $10-million donation to the Montreal Children's Hospital. In recognition of the NHL player's commitment, the hospital officially renamed its atrium the Atrium P.K. Subban. Subban is also a member of the Montreal Children's Hospital Foundation board of directors.